Geilo is well-known as a winter sport destination with 39 marked ski runs on either side of the valley including children’s runs, snowboard parks and ski runs for all levels. The cabins at Geilolia Hyttetun are a mere 100 meters from the closest chairlift and have easy access to other side of the valley with the regularly running ski-bus service. Geilo has a cross-country network spanning roughly 550km of tracks, free of charge. Should you want to get your cross-country skis on, you can choose a route that suits you just perfectly. The skiing season begins in October and runs through April, although you may find skiable snow all the way up to June up at the Hardanger mountain plateau. Geilo is not just about skiing. There are plenty of other winter sport activities to try. Why not try dog or horse sledding, fat biking, or horse riding through the woods? Or what about kick-sledding or hiking with snowshoes? Kicksleds and snowshoes can be rented at the tourist information office and there are also guided snowshoe tours. Toboggan runs offer excitement for young and old. However, If you want motorised action you can try snow-scooter driving or ice-track rally driving. During the summer months you should try out hiking in the mountains, fishing in a mountain lake or cycling the Rallarvegen, a famous cycling route. If you need more speed, try the Geilo Zip Line, white water rafting at Dagali or the high ropes course.If you need a rest from all the outdoor activities, the hotels offer bowling venues, play centres for the kids and renowned spas and wellness centres. Geilo has plenty of cosy cafes, great restaurants offering both Norwegian and international cuisine and shopping where you can relax and recharge from hectic everyday life. In February the annual world kicksledding championship takes place, transforming the town centre into a colourful folk fest. Skarverennet (one of the world’s biggest cross-country ski races) at the end of April marks the end of the skiing season. In August you can experience National Park days and Holsdagen with a traditional wedding, guided tours and a market square. Autumn is no less exciting, with Stetten Wine Festival and Norsk Matglede (Norwegian Food Happiness) with food markets and feasts. In November we celebrate the Winter Opening, the National Park championship in rakfisk – fermented fish, and the Christmas market opens. With events of all sizes throughout the year, the best place to keep up-to-date is on the Geilos event calendar. With 39 runs, children’s areas and several popular snowboard parks, Geilo has much to offer for all ski and snowboarding levels. Renowned ski schools and its own kid’s club makes Geilo a good choice for families with children and as well as inexperienced skiers wanting to experience the best of winter. The ski centres open in November and offer a long and snow-filled winter. Geilo and Hol Municipality have more than 550km of cross-country tracks consisting of both alpine terrain and tranquil forested areas. Be the first to get going in November or enjoy sunny spring daytrips on the Hardanger plateau in May. From the cabins at Geilolia Hyttetun you have direct access to the popular route ‘Ustedalsfjorden Rundt’, easy access to an evening trip in the floodlit circuit or you can take the chairlift to the summit for a mountain trip. Try Northern Europe’s longest zip line, go dog sledding, or join a guided snow shoe walk at dusk. Tobogganing is hugely popular for all ages or if you want to try something a bit different you can try fat biking. What about rounding off the day with horse sledding during the evening? Just a short drive away you can try snow scooters, rally-car driving on an ice track or visit the Langedrag Nature Park. Geilo town centre offers a host of charming stores, cosy cafes and a friendly pedestrian high street. You will find restaurants offering both local produce as well as international staples. Geilo boasts several high-end knife producers where you can make good bargains at their nearby factory outlets. 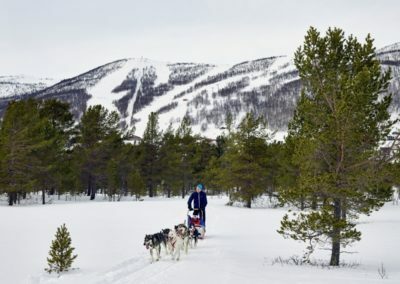 With two national parks, Hallingskarvet and Hardangervidda, neighbouring Geilo, there are no questions about why Geilo has endless hiking opportunities. Hike the Prestholt stairs all the way up on Hallingskarvet, or take a walk around Ustedalsfjorden, stopping off at Fekjo Cultural Heritage Park or for a swim at Geilo Beach. 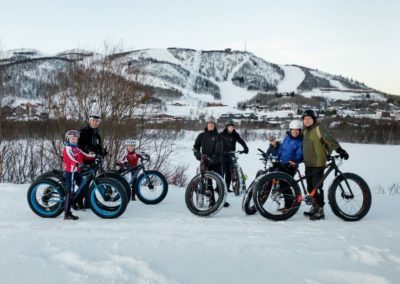 No matter what you are after, be it adrenaline-filled downhill cycling in the cyclepark, trail-cycling in the mountains or a calm family trip along walking and cycling paths, Geilo has it. If you do choose to cycle, the ski lift runs during the summer for easy access to the summit – for both you and your bike. Make sure you don’t miss Rallavegen, which has been awarded most scenic cycle route of Norway several times! At Geilo you can pick and choose between multiple fishing opportunities from rivers and lakes. Ustedalsfjorden, located just below the cabins offers easily accessible fishing with a great view of Geilo. Fishing licenses can easily be bought online, at the tourist information office or at the many sport shops at Geilo. Try rafting on the Nummedalslaagen, treetop parks and zip lines or experience the mountains from horseback. Canyoning, rafting, abseiling and go-karts are further popular options in the area. Geilo has something on offer for everyone – have a look at the huge selection! Many places follow sustainable principles, but being certified as a sustainable destination is an honour few qualify for. It takes years of work demonstrating their lasting commitment to providing the best possible experiences for their guests, while keeping the negative impact of tourism to a minimum. In addition, the destination must work to continually improve its business practices and relations with the local community, whilst safeguarding their natural and cultural assets, history and traditions.